Lilibeth Del Rosario Bennett “Bruja Blanca” (White Witch) | Jorge Bennett, Composer. 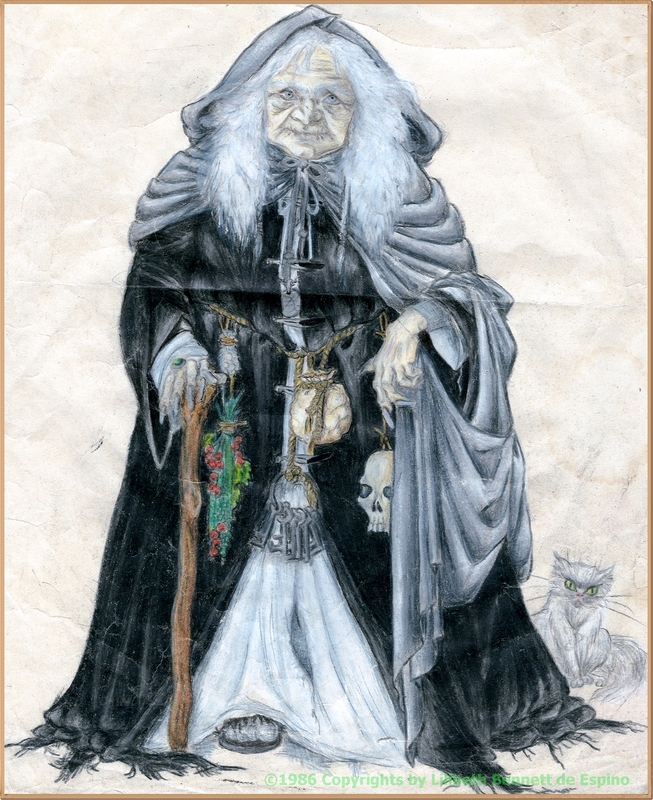 Back in the 80s, I asked my cousin Lilibeth Bennett (whom we call “China”) to make this drawing on a good witch I had on my mind for my novel, and she (teh witch)was also to come up in a dungeons and dragons campaign i was making (I was a dungeon master then). She , my cousin, is a great artist, and she surpased any expectations I had when I saw the drawing for the firts time.